Sonam Kapoor's Colourful Eye Make-up Is What You Need For The Upcoming Party! Janhvi Kapoor look Diva in Red Gown at Zee Cine Awards: Recreate Subtle Yet Bold Look! Flaunt That Flawless Look Of Yours With This French Make-up Tutorial! Faking Freckles With Make-up: Here's The Trick You Need To Know! Recreate Priyanka Chopra's Glittery Eye Make-up Look! 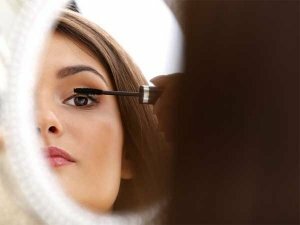 Master The Art Of Baby Face Make-up Today With These Tips!